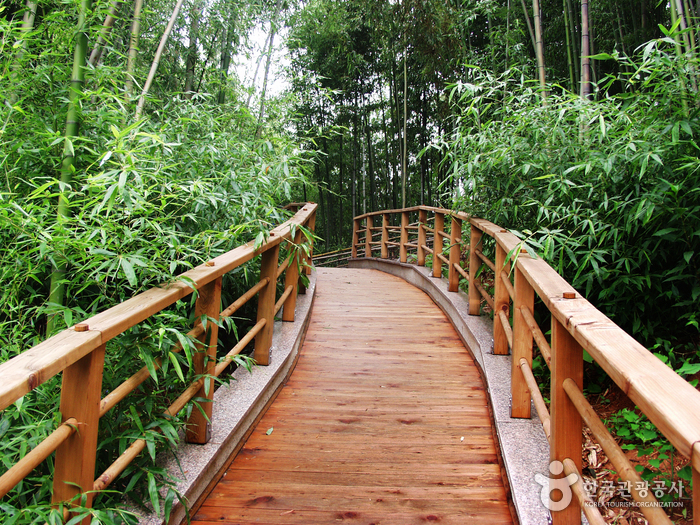 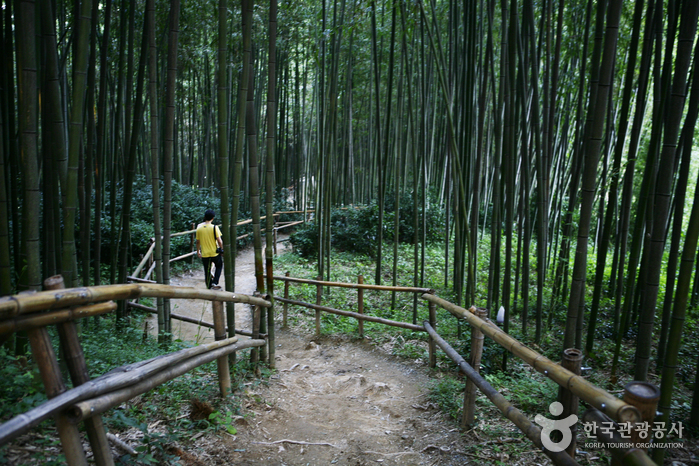 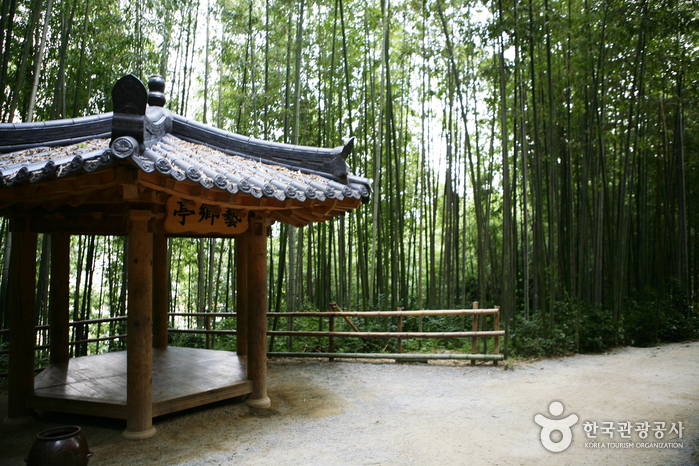 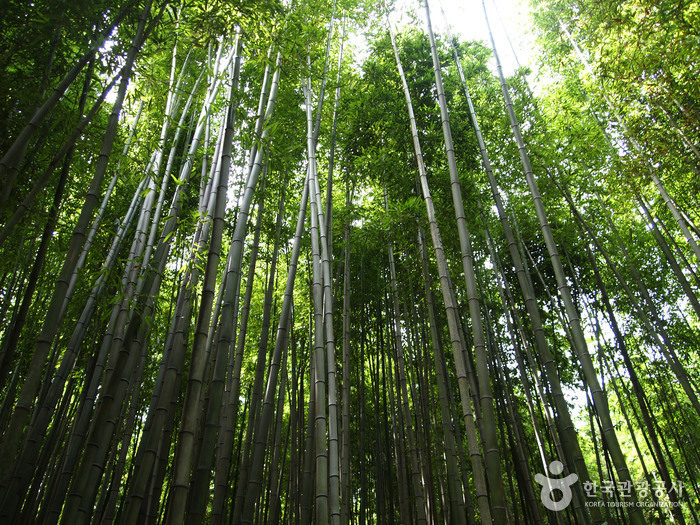 Juknokwon in Damyang is a bamboo forest cultivated by the town of Damyang. 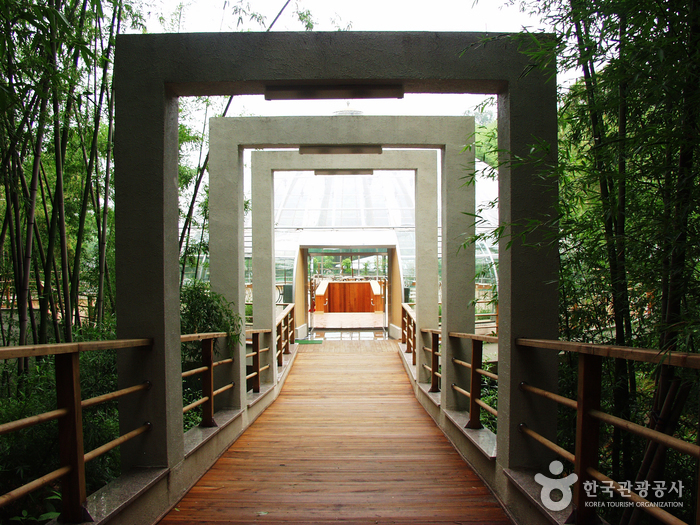 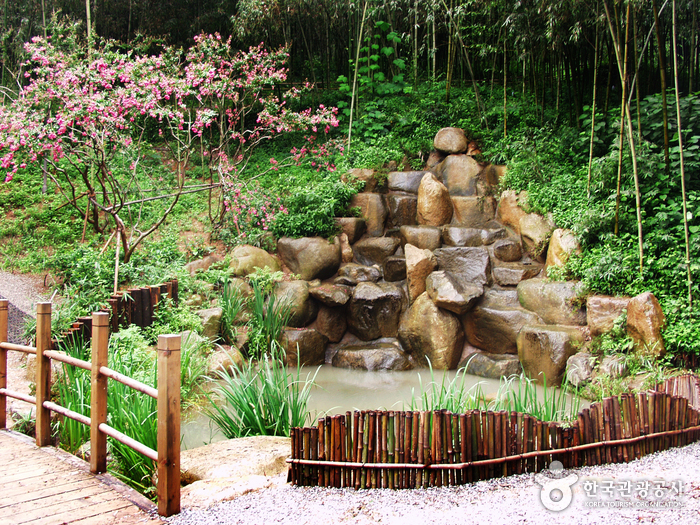 Seonginsan Mountain behind Damyang Hyanggyo (Confucian school) was transformed into Juknokwon Bamboo Garden featuring a beautiful artificial waterfall, pavilion, walking paths and an eco-exhibition center, a popular destination for visitors. 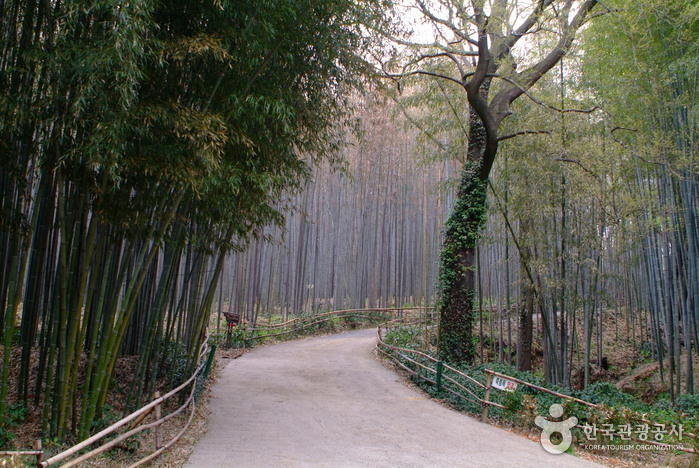 It takes about an hour to tour around the entire garden and to enjoy night walks, the lights are turned on in the evenings in the bamboo forest. 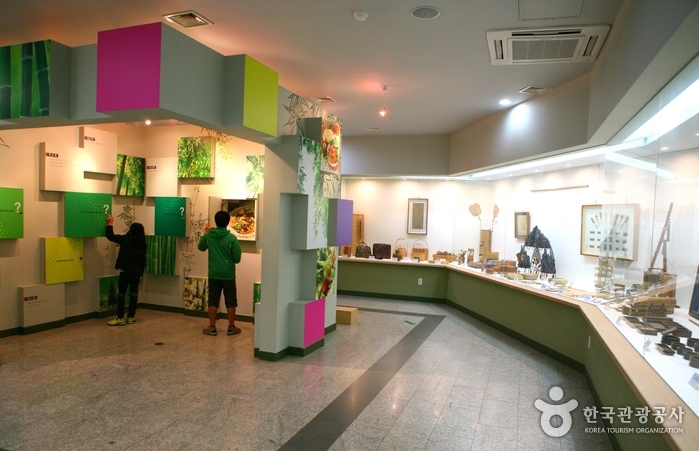 * Children ages under 6 or seniors ages over 65 may enter free of charge. 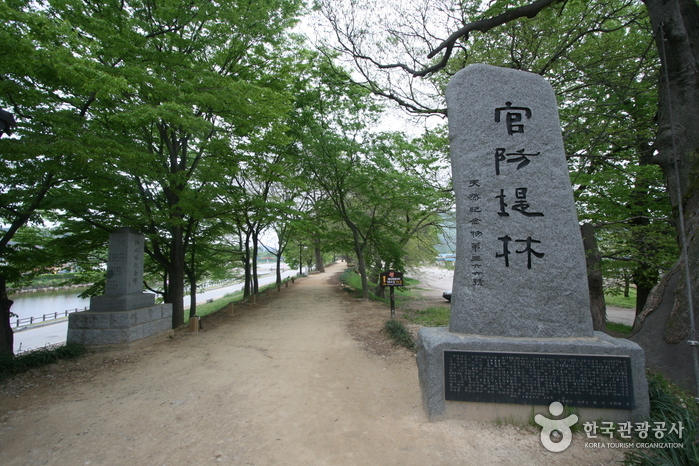 Jukhyang Experience Village, Hanok Experience Site, Sibi Park, etc. 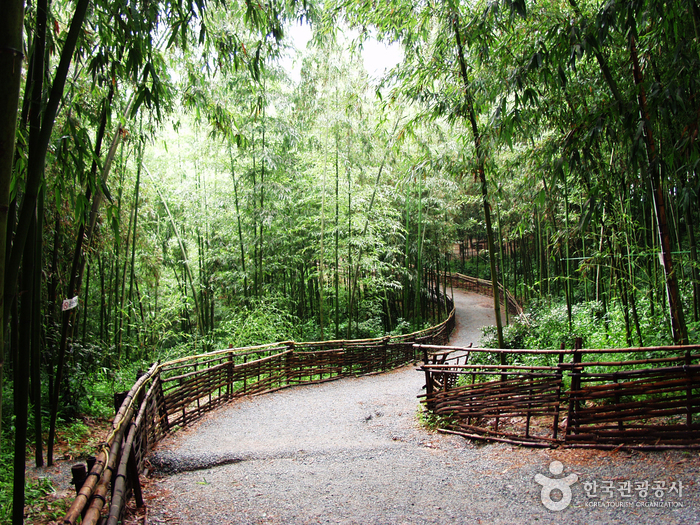 From Yongsan Station (Seoul), take a train to Gwangju. 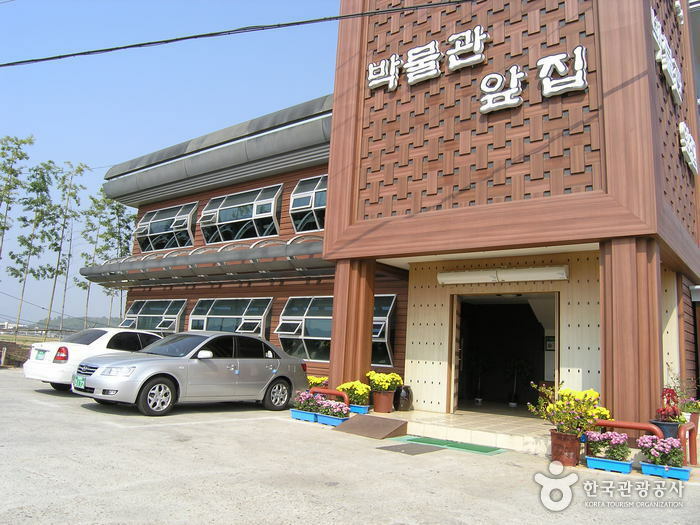 - From Gwangju Station, take Bus No. 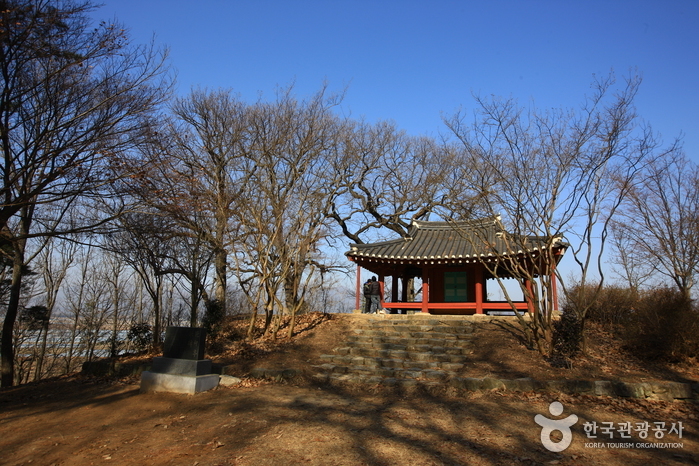 311 and get off at Juknokwon Bus Stop. 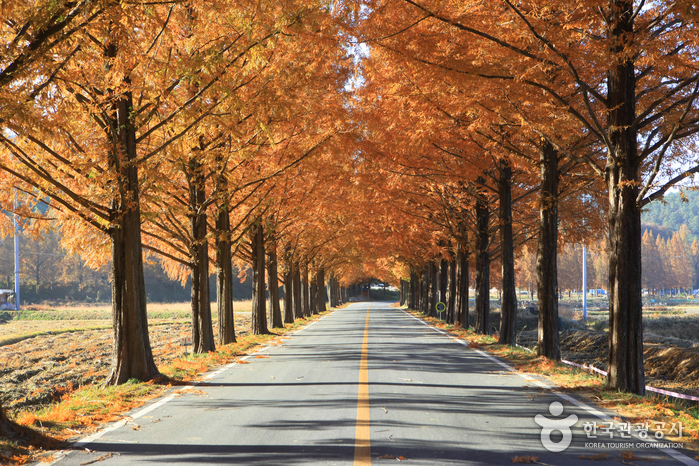 From Seoul Central City Bus Terminal, take an express bus to Damyang. 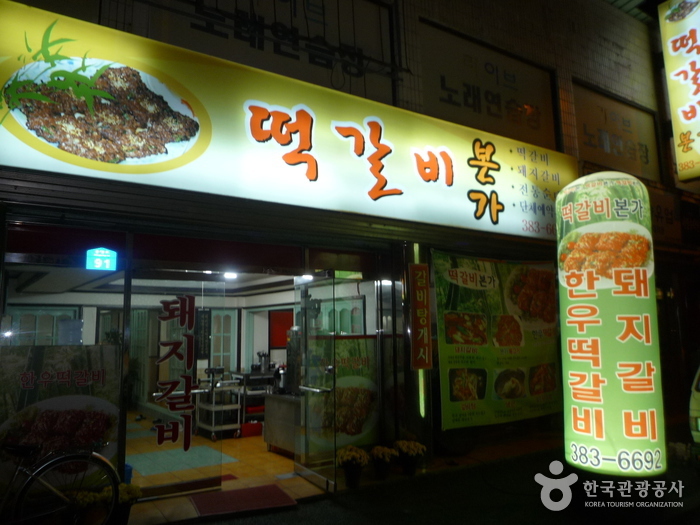 - From Damyang Bus Terminal, cross the road and take a bus bound for Bongsan-Damyang and get off at Juknokwon Bus Stop.